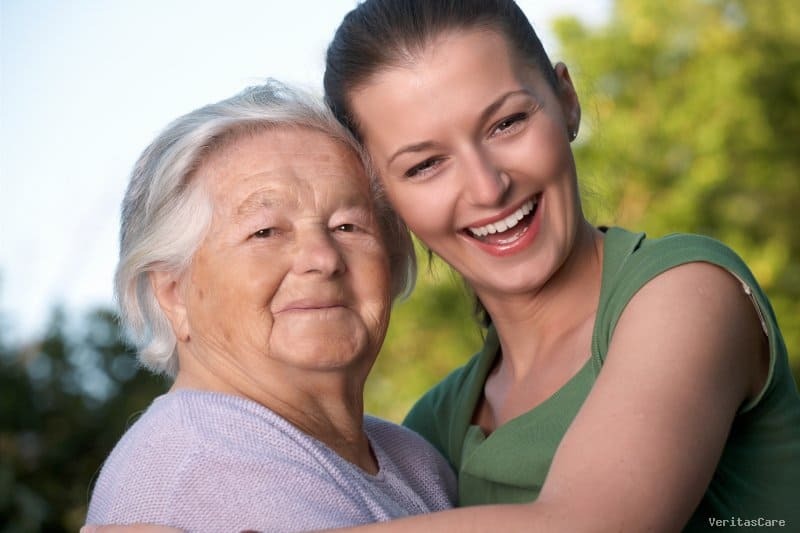 There are no two ways about it: Taking care of an aging parent is physically and emotionally draining. It is lonely, overwhelming and frustrating. You may think you can’t do it any longer. Parents or siblings often don’t acknowledge or appreciate all that you do. Caregiving seems thankless. You give up your life for another, and no one seems to notice. Despite all this, you continue on. You wake up every day to face new challenges. You keep going. Why? Because you care. You give up your life to care for another. That is the ultimate act of love. It is a selfless, noble and generous thing to do – one that many people wouldn’t take on. So give yourself some credit. You are doing one of the most difficult, yet important jobs in the world. And you’re not getting paid to do it. Realize how important your role as a caregiver is. In times of grief, it is difficult to imagine how in the world caregiving can be seen as a positive experience. But look a little deeper and you will find the silver lining in your clouds. Caregiving is uncharted territory. You probably were thrust into the role suddenly and were unprepared. There are no courses on how to be a good caregiver. But somehow, you figured it out. You do your best. Caregiving is an accomplishment. Even with a difficult parent, caregiving can be one of the most rewarding experiences of your life. When you’re in the day-to-day trenches of caregiving, it may not seem very rewarding. But looking back someday, you will probably think that caregiving was one of the most gratifying times of your life. One of the biggest fears that people have about death is a fear of dying alone. Because of you, your parent will never face that. Whether they are of sound mind, or have succumbed to dementia, they will understand on some level that you were with them when they needed you most. You can live knowing that you lessened someone’s pain on the inside, where it counts. The ultimate love that is shown by a caregiver is the decision we make to walk the dying to Death’s door, holding their hand until they walk through it. Buried beneath the bad, you probably experience some special moments. They may be few and far between, but when they come along, they make your heart sing. Looking back on your caregiving journey, you will remember those moments. Caregiving changes your perspective on life. You are forever changed. Realize what is important in life. Nothing is meaningless during this time of intensive caring. Even under the most challenging circumstances, taking care of someone you love can transform your life forever. Never underestimate the impact you have on others. You’re not going to get an award, and you may not even receive any acknowledgment for what you do, or what you sacrifice. But always remember: you are making a difference in someone’s life every day. That’s what life is all about. As in all areas of life, when we peel away the emotions attached to a situation, everything has a reason and its place in the grand scheme of things. The decision to choose love over self, to show mercy, to choose quality over quantity of life, to chose to let go rather than opting for heroics, to send the nonverbal message that “I am here and you are not alone”…these things are the ultimate love. It is the absence of self. You are part of something bigger than yourself. Celebrate it. Embrace it.